Buffleheads are omnivores, so they are both primary and secondary consumers. They are primary consumers because they occasionally eat seeds. They are secondary consumers because they eat other primary consumers. Buffleheads are predators in the environment. They prey on insects, mollusks, or crustaceans. They are also food for some other animals. Cooper's hawks, peregrine falcons, snowy owls, and great horned owls all prey on buffleheads. Buffleheads are small and quick, which helps them escape from predators. Numerous species of helminth parasites use buffleheads as hosts. Buffleheads acquire these parasites through the ingestion of invertebrates. The diagram above shows the flow of energy through these organisms, starting at the producers and ending at the tertiary consumers. Seeds are producers because they get their energy from the sun. 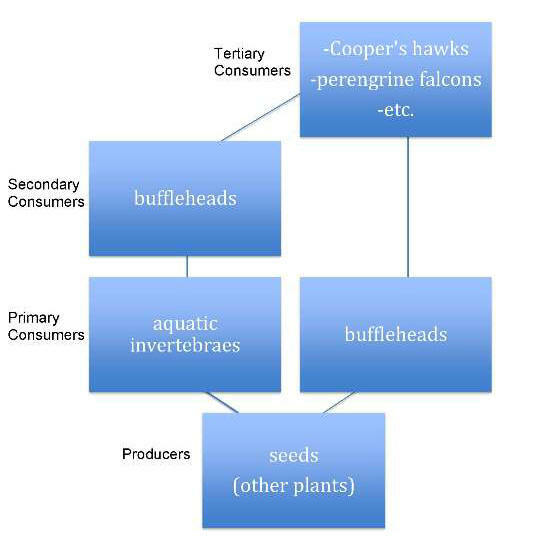 Buffleheads and aquatic invertebrates are both primary consumers because they eat the producers. Even though buffleheads can be primary consumers, they are also secondary consumers. They are secondary consumers because their diet usually consists of other animals or primary consumers. 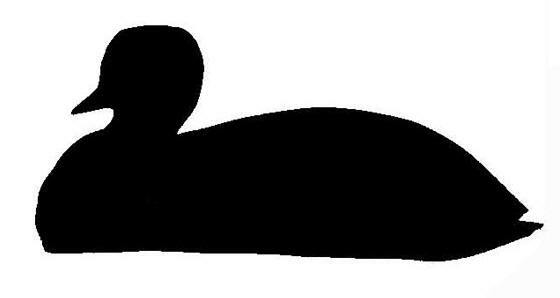 The animals that prey on buffleheads are tertiary consumers. Since buffleheads are mainly secondary consumers, their predators are always considered tertiary consumers instead of secondary consumers. Even though there is not a large number of other animals that use abandoned Northern Flicker holes, there are a few that buffleheads compete with to get them. They have to compete with mountain bluebirds, European starlings, and tree swallows. There a few similar species to buffleheads such as common goldeneyes, Barrow's goldeneyes, male hooded mergansers, and ruddy ducks. Common goldeneyes and Barrow's goldeneyes are distinguished from buffleheads because the females have no white on their faces, and the males have white patches under their eyes. 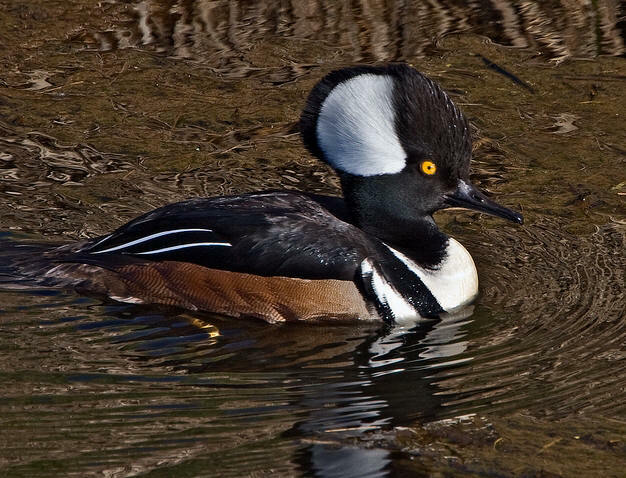 The male hooded merganser can be distinguished because they have brown sides instead of black. Ruddy ducks can be distinguished from buffleheads because the males have a larger white spot on their head that reaches to their bill, and females have a dark line separating the white areas on their faces. Buffleheads share a habitat with many other birds such as mallards, lesser scaups, American coots , and common mergansers. Similar Species: see the difference? What is the significance of buffleheads to us humans? Buffleheads make up a very small portion of duck hunting but are very popular amongst bird watchers. Even though their numbers have been rising since the mid 1950s, their habitat is still threatened by destruction from humans.